Unlock Motorola Citrus WX445 - Safe IMEI Unlocking Codes for You! 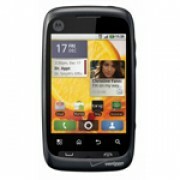 Unlock Motorola Citrus WX445 Handset! In case your Citrus WX445 doesn't ask for the code and there is no designated field to enter it, please DON'T PLACE ANY ORDER, contact us first for support. Unlock now your Motorola Citrus WX445 handset using our safe online solution! The process is simple and 100% Guaranteed to unlock your mobile phone! We can unlock the newest Motorola smartphones, Motorola Atrix, Defy, Razr, V9, Backflip, V3, K1, Krzr and all other Motorola Models! 2. Please choose the original country and operator of your phone and – not the one you wish to use after the unlock process! How to Unlock Motorola Citrus WX445 Phone - Tutorial!